SONSEE Woman – Product Review | Petite Plus, Meow! The easiest way to make your Summer pieces more Fall/Winter appropriate isn’t to ditch them altogether, but to come up with new ways to wear them. I picked up this dress from BIGDeal Toronto‘s pop-up sale. Transitioning this into a Fall/Winter outfit required hosiery and a sweater. 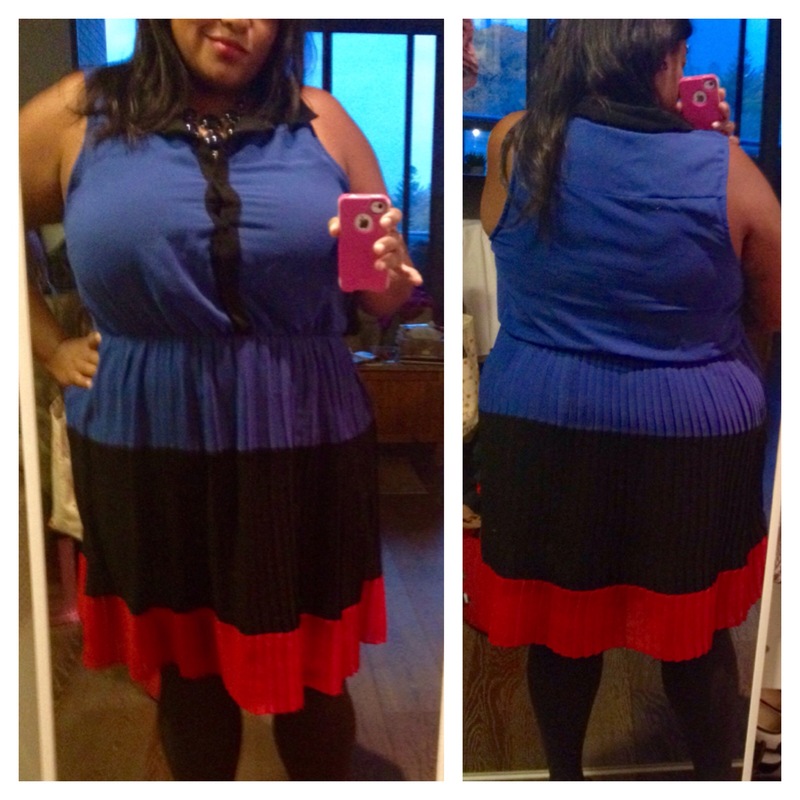 I love the way adding tights to dresses and skirts easily give them a whole new look. Sonsee sizes come in Gorgeous (14-16), Flawless (18-20), Stunning (22-24) and Radiant (26-28). Unlike shape-wear – Sonsee is both comfortable & smoothing with broad ranges in sizing, products and seasonal colours. I was sent “Shadow” – a solid grey colour shown in these pictures, and “Black” which I’m yet to wear (click here to see how I’d wear them). I have to say, I’ve become ever dependent on buying cheap hose from the Dollarstore. Being petite (aka short) their ‘queen size’ seems to do the job, but these are only really good for one-time wear. 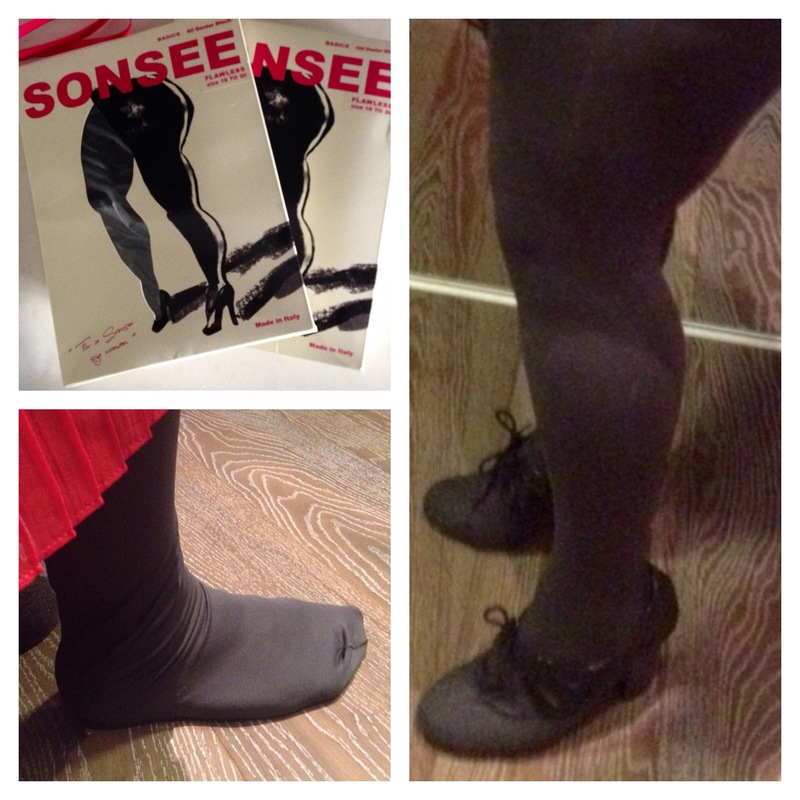 Since I wear a size 18 in clothes, I ordered my Sonsee tights in size Flawless (18-20). Being petite, this size was a bit too big on me. Next time I’d order a size smaller to avoid extra length and scrunching at my ankles, as you can see in the close up shots in the pics above. 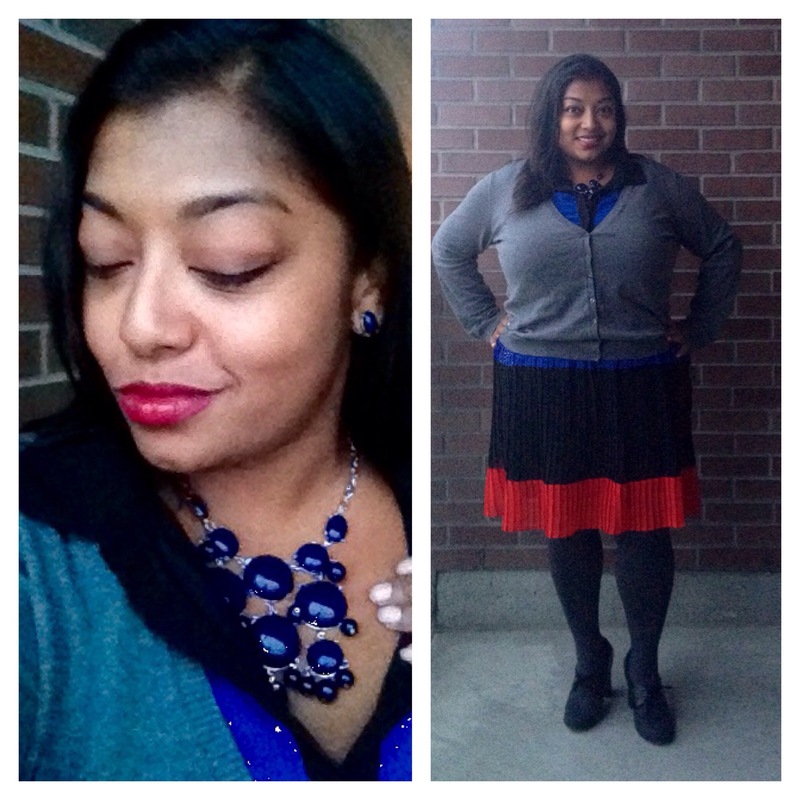 To up the sophisticated vibe of this outfit, I added my navy statement necklace & earring set from LOFT and covered up my arms with a simple v-neck grey cardi from Old Navy. You really do get what you pay for. These Sonsee hose transitions this Summer dress perfectly into sophisticated chic Winter wear, don’t you think? FYI — Sonsee Woman offers FREE worldwide shipping – when you buy two or more pairs; enter coupon code: SONSEELOVE at checkout, just sayin’! How I Got The Look: Shadow grey tights, Sonsee Woman; Grey & black maryjane shoes, Nine West; Tri-coloured pelted sheer-dress, BIGDeal Toronto pop-up sale; Grey cardi, Old Navy; Statement necklace and earrings set from LOFT. ← Farewell to Fall: Round Up! This is super cute Irene! I like how you winterized this very summery dress. Your necklace and earings I am in desperate want of! I’m not sure I could justify the cost of the tights though….mostly because I’m a fairly casual dresser and don’t think I would get enough use of them. As for hosiery, I totally get it. As I’ve said: I’m a dollarstore hosiery gal. Buuuuut having a nice quality pair or two is kind of a nice luxury too. This dress looks amazing on you! I am loving these colors! Thanks for saying so Liz…and for taking the time to comment. Whatta lovely dress that made color blocking so easy!! I so love the necklace and earrings set too!